Amazon starts testing an autonomous liver robot near its Seattle home in the northwest of the United States. The "Scout" is a six-wheeled all-electric trolley that reaches just above knee height. The robot has the size of a small cool box and rolls over the pavement at walking speed. Deliveries with the robots will take place from Monday to Friday and only during daylight. 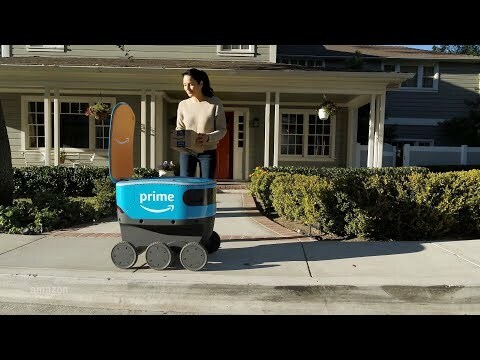 The trolleys will autonomously follow a set delivery route, but will initially be accompanied by an Amazon employee. The technology giant ensures that the devices "can safely and efficiently navigate around pets, pedestrians and any other object in their path".